Jordan Air Jordan 3 Retro Women's "Particle Beige"
Air Jordan 3 Retro Women's "Particle Beige"
Releasing as a women's exclusive, the Air Jordan 3 SE comes in a "Particle Beige" colorway. Metallic beige detailing are also seen on the eye-stays and back tab. Release date is June 8, 2018 at a retail price of $180. 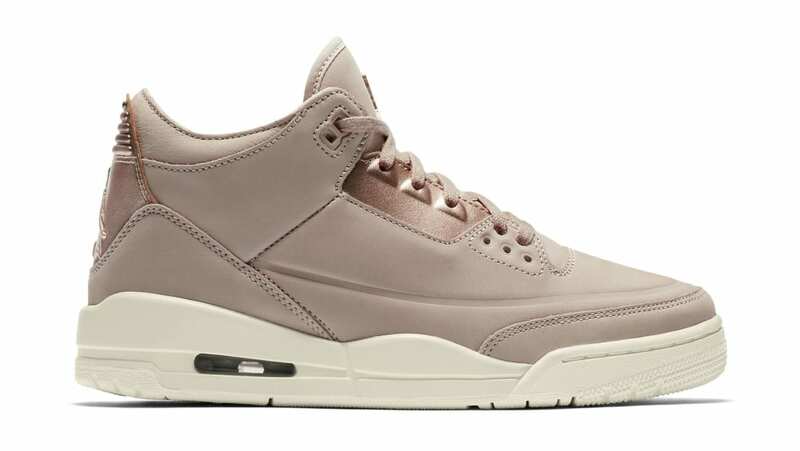 News Air Jordan 3 Retro Women's "Particle Beige"